Founded in 1974 by Edouard Meyers, the company nettoservice happens to be the most important family company for cleaning and maintenance in the Grand-Duchy of Luxembourg. Since more than forty years, our company has known a stable expansion: thus, the number of people employed by nettoservice raised from 23 in its beginnings to 1400 on this date. We own the most modern equipment and with our know-how we are always able to find the optimal solutions for you. Also, we are certified according to the codes ISO 9001 and 14001 for quality management and the management of the environment. Recently we obtained the CSR and the Made in Luxembourg label. With regard to improving working conditions we decided to create a charter of values with a view to combating gender inequalities and all form of sexual harassment. Edouard Meyers founded nettoservice. The company’s headquarter is located in 158, bd G-D Charlotte in Luxembourg City. The company moves to Avenue de la Faïencerie in Luxembourg-Limpertsberg. 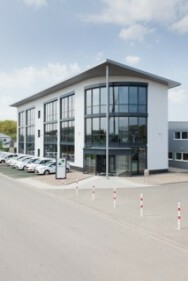 The company moves to 59, côte d'Eich in Luxembourg-Eich. The children of the founder, Mireille and Roland Meyers, entered the company. Mireille and Roland Meyers gained parts of the company. Creation of netto-recycling department, which will become a fully-fledged company. Acquisition of the building situated in the industrial zo of Breedewues in Senningerberg. Edouard Meyers steps out of the actual business to look over the transformations of the new building. The company moves to the industrial zone of Breedewues. 30th anniversary of the company. Relocation to 4, Z.I. Breedewues in Senningerberg. Use of ecolabel certified cleaning products. Obtainment of ISO 9001 certification for quality management and ISO 14001 for the management of the environment. Obtainment of the label "Made in Luxembourg"